송림사는 진흥왕 5년(544) 명관(明觀)이 중국에서 가져온 사리를 모시기 위해 세운 절로, 여기에는 우리 나라에 몇 개밖에 남아 있지 않은 벽돌로 만든 송림사 오층전탑(보물 제189호)이 있다. 1959년 이 탑을 수리하기 위해 해체하면서 탑 안에 있던 많은 유물들이 발견되었다. 그 중 칠곡 송림사 오층전탑 사리장엄구(漆谷 松林寺 五層塼塔 舍利莊嚴具)는 2층 탑신(塔身) 구형(龜形) 석함(石函)(현재 송림사에 보관) 속에서 발견되었다. ㅇ 2층에서는 신라의 사리 장엄구들이 나왔다. 얇은 금판을 오려 만든 섬세한 장식물들이 붙어있는 금동제 사리외함과 녹색 유리로 만든 목이 긴 사리병, 옥과 진주가 붙어있는 유리잔들이 채색된 거북 모양의 석함 안에 있었다. ㅇ 5층 위에 있는 머리 장식부인 복발(엎어놓은 대접모양의 장식) 안에서는 상감청자로 만든 원형 합과 금동으로 만든 원륜 2개가 발견되었다. 그 중 상감청자 원형합은 국화 꽃무늬와 덩굴무늬로 장식한 것으로, 유약 색깔과 문양으로 보아 고려 12세기후반 상감청자의 전성기 때 작품으로 보이는 뛰어난 작품이다. 이 밖에도 구슬 281개, 은 고리(은환) 15개, 향목 7개와 보리수 열매로 보이는 열매가 1개가 발견되었다. 통일신라 시대와 고려 시대의 다양한 유물들이 하나의 탑 안에서 발견된 점으로 보아, 보수가 여러 차례 있었음을 알 수 있다. 특히 2층에서 발견된 거북 함 속의 금동 사리기와 유리 사리병은 그 유례를 찾아 볼 수 없는 유물로 사료로서 그 가치가 크다. Songnimsa Temple was built in the fifth year of the reign of King Jinheung of Silla in order to enshrine the Buddha's sarira which was brought from China by Buddhist Monk Myeonggwan. In this temple, there is a five-story brick pagoda (Treasure No. 189), one of the rare brick pagodas remaining in Korea. When it was dismantled for repair in 1959, many relics were found inside. In the first story, there were two wood, two stone, and two bronze Buddha statues. 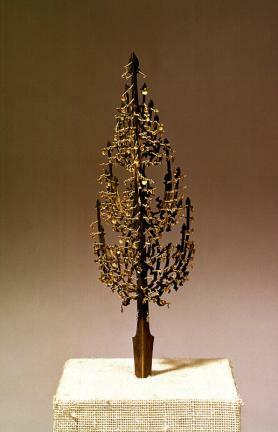 In the second story, there were remains from the Silla Dynasty, which are the most notable. 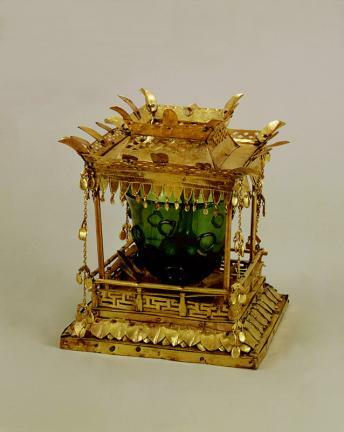 These were a gilt-bronze stupa which was made of thin gold plate with delicate decoration, a long-necked sarira bottle made of green glass, and glasses with jade and pearls attached. These were in a tortoise-shaped stone case. In the third story, there was a stone box with a wooden lid that contained some decomposed papers. 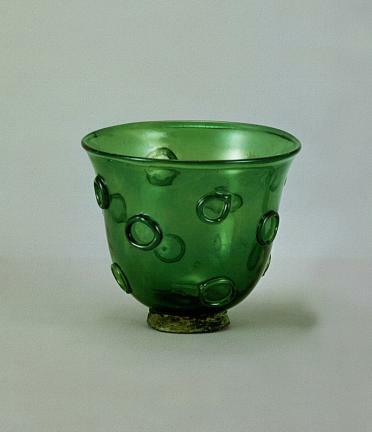 The over-turned bowl on the roof stone of the fifth story contained a round-shaped inlaid celadon case and two gilt-bronze ear ornaments. 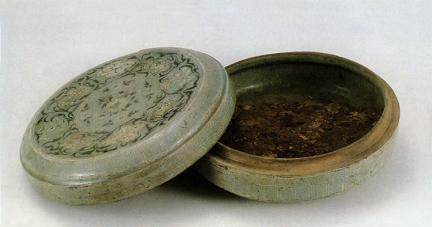 The inlaid celadon case is decorated with chrysanthemums and vine patterns. 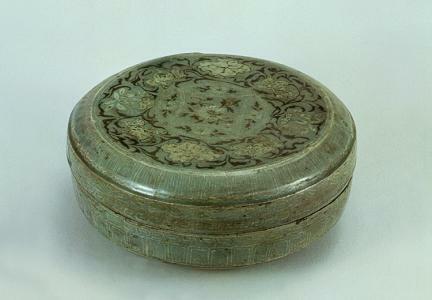 In view of the pattern and the glaze, it is an outstanding work of the late 12th century, the time of the flourishing of inlaid celadon. 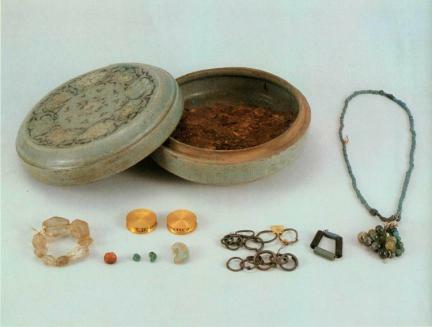 In addition, there were 281 beads, 15 silver rings, 7 aromatic woods, and one seed of a boa tree. Considering the fact that various remains of United Silla and Goryeo are found in one pagoda, it is clear that there have been several periods of repair. 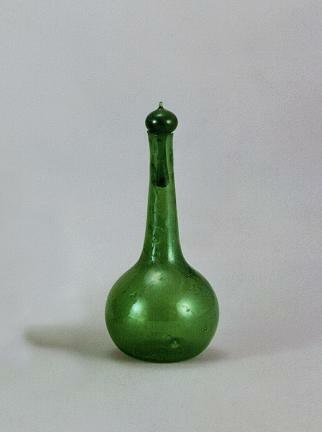 The gilt-bronze stupa and sarira bottle in the tortoise-shaped box are rare, and valuable as historic material.